Employment opportunities with the City of Jamestown will be posted to this site as they become available. To apply, simply click on the "Download an application" link below. Once you have printed and filled out the application, please submit it to the reception desk at City Hall during general office hours, Monday through Friday from 7:30 a.m. to 4:30 p.m., excluding state and federal holidays. 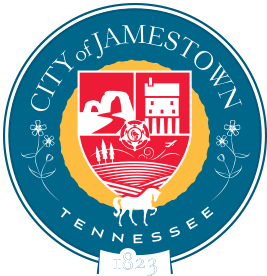 The Jamestown City Hall offices are located at 314 East Central Avenue, Jamestown, TN 38556. Please note: A new application must be submitted each time you apply for employment with the City of Jamestown. Drug testing may be required of those applying for positions with safety-related classifications. Any exaggerated or false statement(s) or omission of requested information may be cause for your application to be rejected or, if you have already been hired, may be cause for your termination; falsifying documents is subject to criminal prosecution.